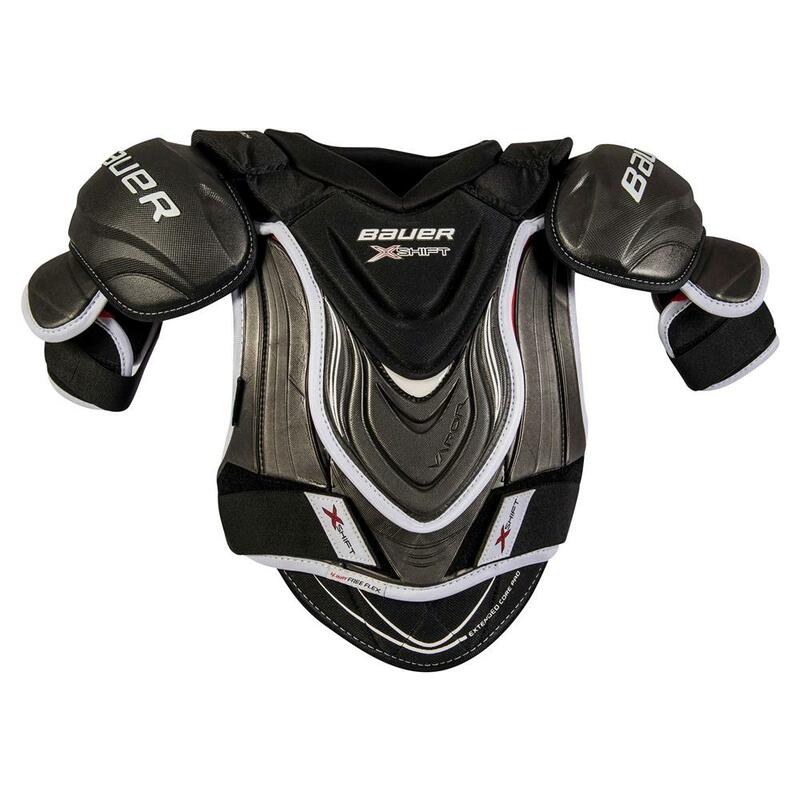 Bauer Vapor XShift “Exclusive” Junior Shoulder Pad | Sports Etc. Based on the Vapor X900 series of protective gear, Bauer’s Source Exclusive Vapor X:Shift line is a step above with enhancements to keep your equipment even more secure and comfortable during every game. Vapor X:Shift hockey gear from Bauer. Available exclusively at Source For Sports retailers. Sports Etc Performance To Value Rating– 10 Out Of 10– When your game calls for the best protection available this is the shoulder pad for you. All the high-end features in a shoulder pad at a lower “exclusive” price.